The Libertarian Party of Seminole County is an affiliate to the Libertarian Party of Florida. We advocate libertarian viewpoints for local government here in Seminole County. America’s Heritage: Libertarians believe in the American heritage of liberty, enterprise, and personal responsibility. Libertarians recognize the responsibility we all share to preserve this precious heritage for our children and grandchildren. Free and Independent: Libertarians believe that being free and independent is a great way to live. We want a system which encourages all people to choose what they want from life; that lets them live, love, work, play, and dream their own way. Caring For People: The Libertarian way is a caring, people-centered approach to politics. We believe each individual is unique. We want a system which respects the individual and encourages us to discover the best within ourselves and develop our full potential. Principled; Consistent: The Libertarian way is a logically consistent approach to politics based on the moral principle of self-ownership. Each individual has the right to control his or her own body, action, speech, and property. Government’s only role is to help individuals defend themselves from force and fraud. Tolerant: The Libertarian Party is for all who don’t want to push other people around and don’t want to be pushed around themselves. 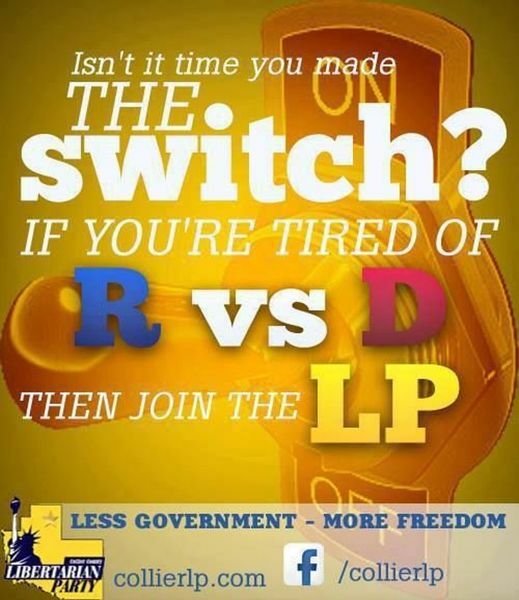 Live and let live is the Libertarian way.